Welcome back! This is C Part 1 of 3 of my vinyl collection, an informal trip through my collection with quick photos and descriptions. I haven't optimised any of the photos using Photoshop as I usually would, the main reason for this is it would be too time consuming as there are a lot of records to get through. For each vinyl there will be a little write up, it might be about the packaging, the music, where I got the record etc... enjoy!... and see below for links to other parts. Me and my girlfriend picked this up in Brighton, she's more a fan of Anna Calvi than I am but I do sometimes put the album on... much better than a lot of stuff out at the moment. She kind of reminds me of some early Elvis stuff, maybe its the production, with a lot of reverb on the guitar and a flowing emotional voice. I like the A-Side although it's not one of my favourites on the album, the B-Side is a Burt Bacharach track 'Baby It's You' which she performs as a solo guitar piece with vocals. Love the label on this one, suits the music perfectly. Curious what she'll do next. Got this one from my brother for Christmas which was nice as I hadn't heard this album before. Apparently Van Vliet wasn't a big fan of this album as the tapes were cut up by the producer and mixed using primitive psychedelic effects (especially on some of the drums)... it adds an interesting flavour to Captain Beefheart and brings out more of the psychedelic spirit of Captain Beefheart. I really like this one, the production is nice and experimental and works well with Vliet's oddball sensibilities. This album is a great taste of what insanity was to come with the next two albums, Trout Mask Replica and Lick My Decals Off Baby. The artwork for this re-issue is different to the original, I think the original has a gatefold sleeve... hopefully one day I'll come across it. This 180g Virgin Vinyl re-issue sounds so incredible. This is one of my favourite Captain Beefheart albums and also one of my favourite albums ever so to own a copy that sounds so good really is an honour! Thanks go to my girlfriend for getting me this little beauty. It's really hard to get on CD these days but thankfully it's not to difficult to get on vinyl. I prefer this album to Trout Mask Replica, it's much more focused whilst still being pretty out there. It has some great 'stereo guitar' stuff on it too. This issue replicates the original label which is nice and old school, it doesn't come with the original 4 page inner though sadly. The back features a painting by Vliet. Beefheart would only release two more albums after the return to form that was Shiny Beast (Bat Chain Puller), there would be a fantastic album in the form of Doc At The Radar Station (1980) which in many ways outshines Shiny Beast and then 1982 Ice Cream For Crow dropped before Van Vliet would retire from music altogether (due to health problems?) and work solely on his paintings. His paintings were becoming more and more apart of Captain Beefheart, taking over more and more space of the album covers as time went on so it was only logical that it would end up eclipsing the music altogether. I think this is a great send off for Captain Beefheart though and I'm glad that they ended on three great albums. One of the earliest electronic ambient albums, and a great and influential one at that. 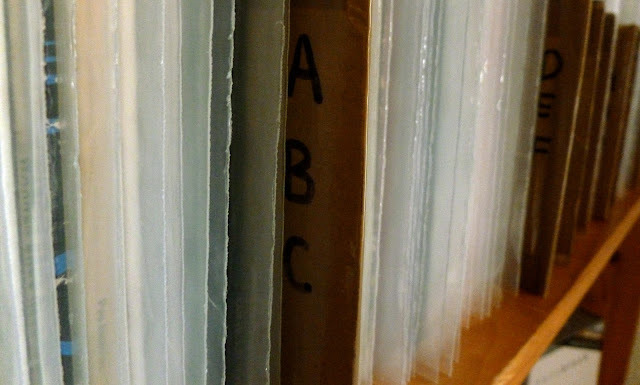 Each of the four sides of vinyl are dedicated to a separate season, each around 20 minutes in length. Walter/Wendy Carlos is perhaps best known for her soundtrack works which she recorded after this 1972 album although she's also very well known for her Switched-On series which started in 1968 with Switched-On Bach. The Switched-On series would see her produce electronic versions of famous classical compositions - some of which were used to unnerving results by Stanley Kubrick in Clockwork Orange. Sonic Seasonings takes field recordings of thunderstorms, birds etc and marries them with sweeping electronic synths, I guess you could call it an acquired taste but I really love it. I love the way sections lead into one another before disappearing and giving way to the next section. The production is brilliant too, all of Rachel Elkind's work with Walter / Wendy Carlos is extremely recommended. Also the artwork is awesome! Perhaps worth owning simply for the iconic artwork, this soundtrack to Clockwork Orange was compiled by Walter/Wendy Carlos and Stanley Kubrick and features a mixture of classical pieces, Carlos originals and Switched-On tracks... oh and it ends with 'Singing In The Rain', nice. The soundtrack for this film is perhaps almost as iconic as the film itself so I'm sure I don't have to say much about it, but it does come highly recommended, it's pretty sinister stuff to say the least and still sends a chill down my spine, a fantastic partnership. Oh the hilarity of the front cover, mwah ha ha! The Switched-On series always seems to feature odd tongue in cheek artwork that I just can't take seriously no matter how much I look at it! The music has a distinct Walter Carlos feel to it, I think it's that odd sharp synth sounds she utilized a lot on these recordings or something but you can tell it a mile off. There are some great parts on this release, parts remind me of where techno-pop would go in 10 years time with groups like YMO... especially on the quieter parts of side 2 which is reserved for 'Brandenburg Concerto No 5 in D Major'. But part of me also finds this release hard to get along with, I love some of the sounds and production but I'm not much a fan of Bach. Tron, I remember watching this film and thinking it was amazing if a little flawed in parts but one thing that I really liked about it was the soundtrack. Obviously the best part of this release is Wendy Carlos' tense and magical electronic compositions but the soundtrack also features two huge stinkers in the form of Journey. Perhaps the music works best within the film itself but yep, classy soundtrack work as always from Wendy.